We go out of our way to help make customers successful, and we love sharing their stories. Here are just a few. 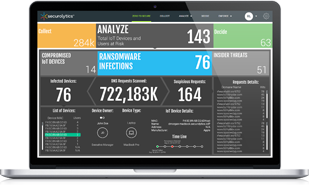 Securolytics Provided Immediate Visibility Into Every Connected Medical Device And The Potential Risks. Securolytics Safeguards Patient Data & Promotes HIPAA Compliance.